Having shown the power of an ancient Chinese hangover remedy, Research Professor of Clinical Pharmacy Jing Liang is now determined to unlock the mysteries of its effectiveness. The answers she finds could lead to potential Alzheimer’s disease treatments and treatments for Parkinson’s, post-traumatic stress disorder, anxiety and more. So she took a leave of absence from her position in an alcohol-research laboratory to return to her native country, devoting three months of study in Guangzhou, South China, where she purified various herbs and evaluated their effects on animals. Liang alighted on Hovenia dulcis — the Japanese raisin tree — the leaves of which were first brewed into a hangover-fighting tea around 660 BC. 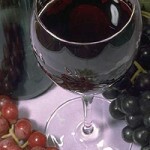 She identified its active ingredient, dihydromyricetin (DHM), as a novel anti-alcohol medication in a landmark 2012 study. Not only does DHM seem to prevent the next-day fog that is the inevitable price of over-indulgence, but it also demonstrates liver-protective properties. After reading about Liang’s research, former Tesla engineer and entrepreneur Sisun Lee contacted her for help in formulating a recovery drink for commercial release. With Liang as medical adviser, Lee established the company 82 Labs, releasing the popular Morning Recovery supplement. For Liang — who joined the USC School of Pharmacy in 2014 — the research enabled a return to what led her to the medical profession in the first place: an interest in neurodegenerative diseases and aging. Just as DHM blocks alcohol from affecting the brain’s gamma-aminobutyric acid (GABA) receptors, it also may restore GABA synapse functionality to improve memory and learning abilities. “The GABA receptor must have something to support,” Liang explained. “And this support layer is the gephyrin protein.” In Alzheimer’s patients, that protein is reduced by half, resulting in what she calls “the silent synapses” — signals come but find no response. “That is how cognition is lost,” she said. 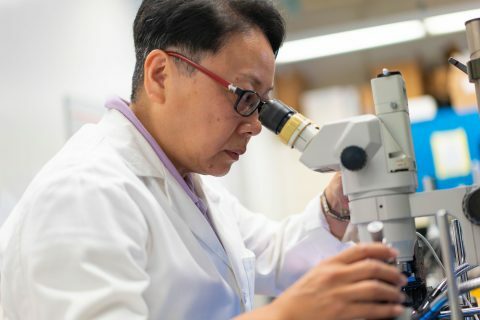 Liang has identified the gephyrin-GABAA-receptor pathway as a target for a potential Alzheimer’s disease treatment involving DHM, and her discovery holds potential for combating other neurological disorders as well. “For example, she has great anecdotal evidence for DHM’s potential effectiveness against Parkinson’s disease,” said Daryl Davies, a professor in the USC School of Pharmacy’s Titus Family Department of Clinical Pharmacy who is collaborating with Liang on this research. 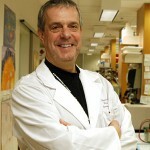 He added that DHM also might prove useful in treating anxiety, alcohol-use disorder and PTSD. Another advantage is that, unlike current anxiety and alcohol-withdrawal medications such as diazepam, DHM is non-addictive. To date, DHM has been used in the U.S. only as a nutritional supplement, with its pharmaceutical applications yet to be fully explored and validated through evidence-based research. Morning Recovery’s growing popularity demonstrates DHM’s effectiveness as a recovery drink that can reduce or eliminate the “rebound effect” alcohol has on your brain. Now USC researchers aim to understand why it has that effect. As the team undergoes the process of what Davies calls “reverse engineering” DHM, they have a crucial head start. “We know these products are safe for long-term use because she has done the safety and toxicity studies already,” he added. 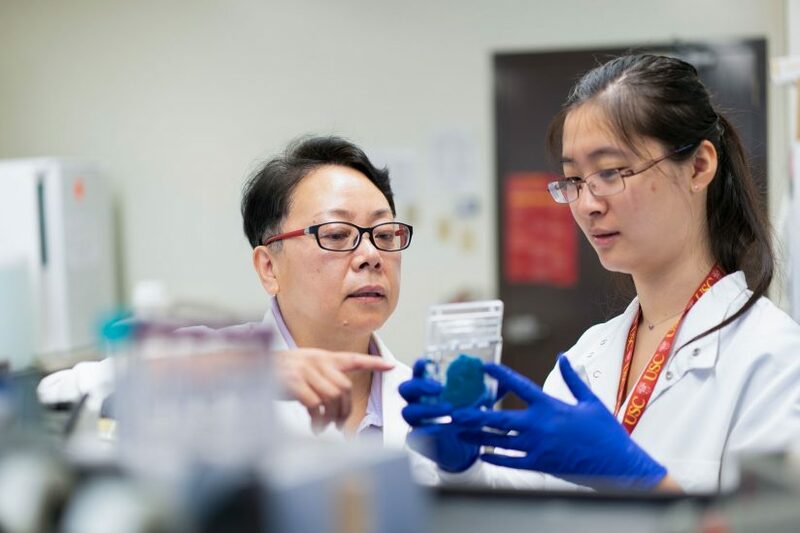 The USC team also has a plan for tackling a key challenge of translating Chinese traditional medicines into approved pharmaceutical products: reliable ingredient sourcing and batch-to-batch consistency. A weakness of Chinese traditional medicines is that they’re hard to replicate. The USC studies will control for all of those aspects. In the meantime, Liang has created another supplement, called Smarto-OneTM, that is undergoing a small-scale clinical trial for Alzheimer’s in China. Those who have taken the supplement have shown significant improvement, she said. 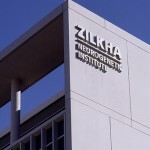 Researchers at the Zilkha Neurogenetic Institute have quantified their work. Researchers at the Keck School of Medicine of USC have uncovered structural clues about the protein linked to Parkinson’s disease, which ultimately could lead to finding a cure for the degenerative neurological disorder.